Sorry more beach photos! 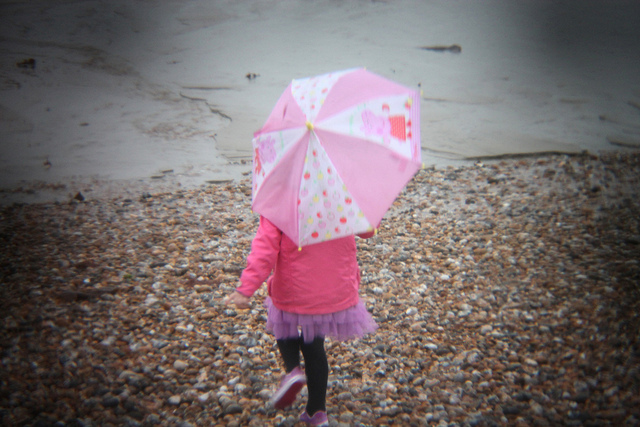 This time in the rain using my new Holga toy lens. I think I need to play a bit more - maybe try using in some brighter weather if we get any! Its good fun for a change though, especially for the price. We decided to just wrap up and get out this morning, despite this miserable weather. The kids still loved it - a good excuse to use their brollies. The heating went on when we got back though, it was blimmin' freezing! ooh fun! 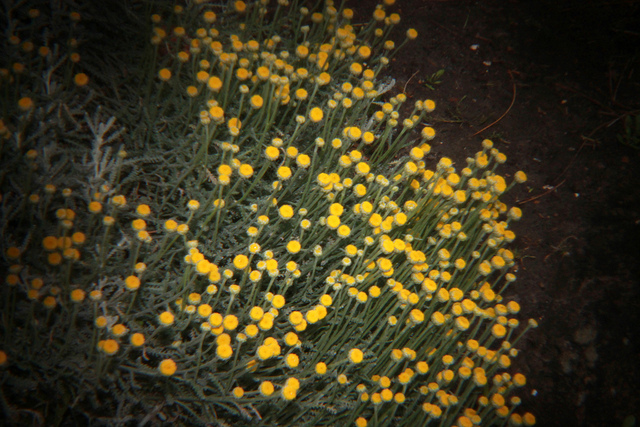 I was thinking about getting a holga lens for my SLR. It looks like a really interesting to experiment! 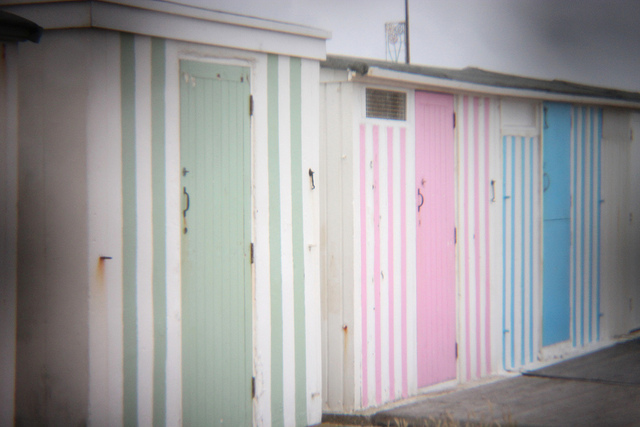 i have a thing for beach huts and these ones are so pretty. Great photos. 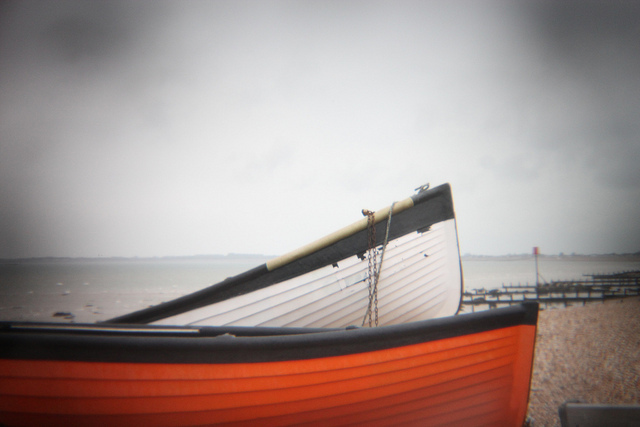 I love the effect from your new lens- beautiful dreamy colours! Thank you, I quie like the dark edges - I know that has a name but I forget! Don't apologise I love seeing the beach via you, it seems such a long time since we went to the seaside ourselves! 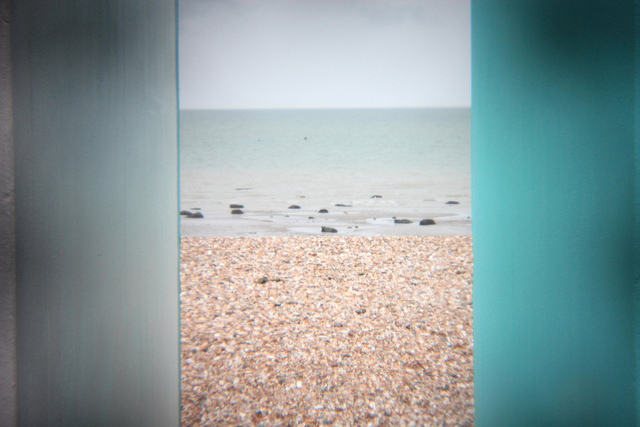 Ah, beach huts, I love them. My parents still have one on Hayling Island and I spent so much time there as a child...happy days! Great photos, i like the effects the lens gives. 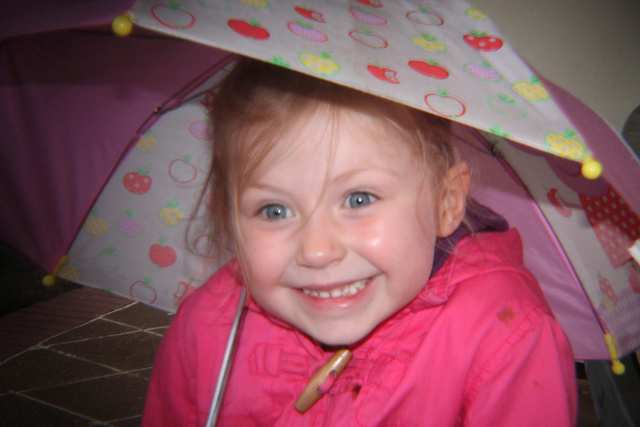 Hello Caroline, I have just popped in to say hello, Wow rainy days for you, and puddle splashing is so much fun! I love the seaside and these pictures are beautiful... 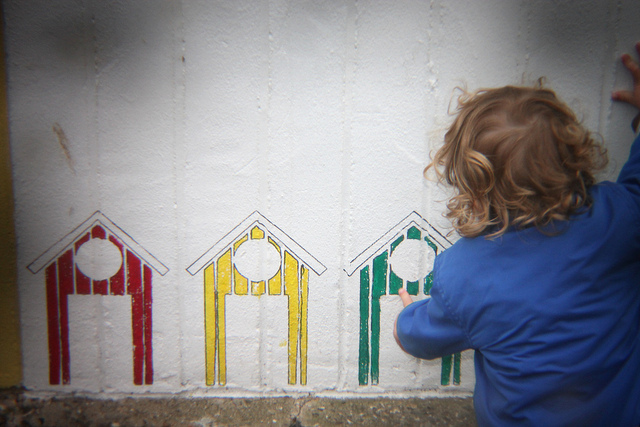 I have nearly completed doing up and old fibro beah shack and get o spend most weekends there with my little grandson in tow working on the project. Each afternoon we walk down to the beach and have a splash around, we stop and have a swing and then amble home chatting o all the locals on the way. I love to collect retro and vintage and love styling children's rooms. I do hpe you pop on over and say hi! 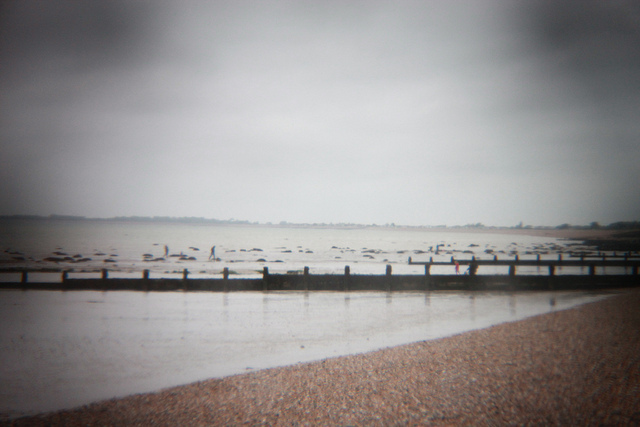 I am following you now so I can se more of your lovely seaside pictures.